"Capitalist crisis and imperialist offensive-Strategy and Tactics of the Communist and Workers Parties in the struggle for peace, workers' and people's rights, for socialism." 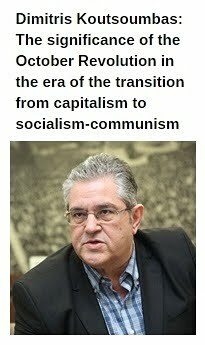 - Speech by Giorgos Marinos, member of the Political Bureau of the CC of KKE at the 18th International Meeting of Communist and Workers Parties. 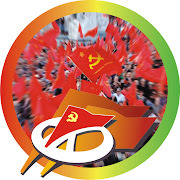 The Communist Party of Greece salutes the 18th International Meeting of the Communist and Workers Parties and warmly thanks the CP of Vietnam for its hospitality. Our party has expressed its internationalist solidarity and has stood for many decades at the side of the Vietnamese people in their struggle against French and Japanese colonialism, against the imperialist intervention and crimes of the USA. The glorious victory of the working class, of the people of Vietnam under the leadership of the Communist Party and its leader comrade Ho Chi Minh was a great victory of international significance and demonstrated that when the people are determined, well organized and armed, they can defeat the strongest opponents-dynasts and break the shackles of exploitation and oppression. 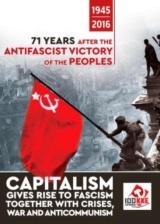 The history of the communist movement is full of heroic pages and is a valuable source for study and the drawing of conclusions that will lend strength to the communists so that they can meet the challenge of the complex conditions of the class struggle, fighting for the overthrow of capitalist exploitation and the construction of socialism-communism. The international, synchronized capitalist crisis of capital over-accumulation that manifested itself in 2008-2009 leaves its mark on the developments up until today and its causes are to be found in the capitalist ownership of the means of production, the profit motive which is the motor force of anarchic development, in the sharpening of the basic contradiction between the social character of production-labour and the capitalist appropriation of its results. Bourgeois and opportunist forces are silent about the real causes of the crisis and present other factors as being the causes e.g. neoliberal management, the banks and bankers. This causes confusion and fosters illusions about the potential for a pro-people management of capitalism. The reality is that regardless of whether the form of the crisis' outbreak is connected to disturbances in the banking-financial system, to "bubbles" and other similar phenomena, the crisis is born in the productive process on the terrain of the exploitation of wage labour by capital. The general staffs of the imperialist organizations are once again concerned. The capitalist machine is not advancing, the studies of the bourgeoisie are revising the growth indicators to lower levels, the crisis is continuing in countries with an intermediate position in the imperialist system like Greece, as well as in stronger ones like Russia and Brazil. We are witnessing stagnation in the EU and Eurozone and a slowdown of the Chinese economy. The assessments for the next period take into account the impact of the imperialist competition and wars, the problematic situation of financial institutions (Deutsche Bank, Italian banks etc. ), the consequences of Brexit. In these complex conditions, the analysis of the communists about the real causes of the crisis as well as the class character of capitalist growth acquire great importance for the preparation of the labour-people's movement and the strengthening of the class struggle, so that the importance of the socialist organization of production is understood by the working class, which is the only way to eradicate the causes of the crisis and capitalist exploitation. In our country, the capitalist crisis (2009-2016) is deep and prolonged and over its duration the management policy of all the bourgeois governments has been implemented, which in cooperation with the European Union (EU), the European Central Bank (ECB) and the International Monetary Fund (IMF), widely known as the Troika, thrust the burdens of the crisis onto the working class and popular strata, advancing the strategy of increasing the competitiveness and profitability of the big businesses. The liberal party ND and the social-democratic party PASOK implemented the two memoranda and very harsh anti-people measures that provoked intense popular indignation. The illusions about choosing a "lesser evil" and the false expectations that SYRIZA fostered increased in the context of poverty and high unemployment. 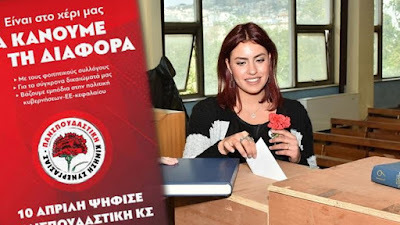 SYRIZA, an opportunist party, with a "leftwing" label, that is a "mixture" of renegades from the communist movement and officials from social-democratic PASOK and formed a government with the nationalist ANEL party ("Independent Greeks"). SYRIZA ascended to government in January 2015 with the support of powerful sections of big capital and demonstrated in practice that it is a social-democratic party that serves the interests of the monopolies, implements a very harsh anti-people political line, uses all means at its disposal to deceive our people and abroad is presented as being a force for resistance, attempting to mislead the peoples with fake left sloganeering. 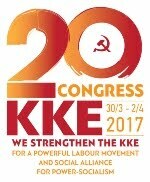 The delegation of the Communist Party of Greece (KKE). The SYRIZA-ANEL government with the support of the other bourgeois parties passed the 3rd memorandum. With this memorandum, it implements the strategy of capital, the reactionary capitalist restructurings of the EU in order to intensify the rate of exploitation of the working class, the destruction of the farmers and the bankruptcy of the urban middle strata. Recently, the government passed harsh anti-people laws through parliament, dismantling workers'-people's rights, in order to pass the assessment of the 3rd memorandum by the Troika. It attacked the social character of insurance, dramatically reduced pensions, increased the age of retirement. It imposed unbearable direct and indirect taxes on the people. It privatized ports, airports and proceeds to privatize strategically important enterprises in energy, water etc. It follows the path of the previous governments, maintains the laws that have abolished the collective labour agreements and have dramatically reduced salaries, advances measures to abolish labour rights, reinforces flexible forms of labour, uses repression against the workers' struggles. Unemployment is above 25% and above 50% amongst the youth, instead of supporting the unemployment it gives related benefits to the businessmen. In this period, in the framework of the 2nd assessment of the 3rd memorandum it is preparing to impose new harsh measures against the workers, mass dismissals, employer Lockouts, restrictions on the right to strike etc. The class-based political line of the SYRIZA-ANEL government entails funding for big businesses, new tax exemptions for big capital etc. In this period, the promotion of a so-called "just" capitalist development is being used in as a tool to mislead the people. It is possible that there will be sluggish economic growth, but the essence is that this growth will be in an anti-people direction, as it will have as its criterion the increase of monopoly profits; it will be based on the destruction of rights and will form the conditions for a new economic crisis. We note that the directions and anti-people measures being implemented in Greece through the memoranda are part of the more general anti-people strategy of the EU, which is being promoted in various ways in all the countries of Europe, regardless of whether a memorandum has been imposed or not, regardless of whether liberal or social-democratic parties are in government. The bourgeois propaganda about the "acquis communautaire" of the EU is refuted by the capitalist reality of high unemployment, underemployment and poverty, the intensification of work etc. The SYRIZA-ANEL government is also following a very dangerous foreign policy. It is promoting the interests of the monopolies, systematically entangling the country in the imperialist plans, with the policy for the "geostrategic enhancement of Greece” as its vehicle. It provides military bases for the aggressive needs of the USA and NATO in the wars in Syria, Libya and Iraq. It maintains military forces in the imperialist missions abroad; it develops wider military cooperation with Israel; it has invited NATO forces into the Aegean Sea; it participates in the implementation of the recent very dangerous decisions of the NATO Summit in Warsaw. The imperialist wars uproot millions of refugees and immigrants from their homes and trap thousands of families of persecuted people in Greece, who are living in wretched conditions. They have other European countries as their destination. The KKE in these conditions holds to a stance based on internationalist principles, struggles against imperialist wars, condemns the repressive policies of the EU, stands at the side of the refugees and immigrants, contributes to the organization of the people's solidarity, confronts racism, xenophobia and the criminal fascist organization of "Golden Dawn". It has once again been confirmed by the experience of the anti-people political line of SYRIZA that the so-called left-social-democratic governments are the choice of capital to do the “dirty work”, to advance the policies that serve the interests of the monopolies and assimilate the labour-people's movement into their aims. It has been demonstrated by the example of SYRIZA and many other examples that the so-called "left governments" are an apparatus for the management and reproduction of capitalist exploitation, foster illusions about the humanization of capitalism and a dangerous expectation that the people's problems can be resolved, the people's needs can be satisfied in the conditions of capitalist exploitation. Experience demonstrates that these governments impede the real radicalism of the working class. They become bankrupt due to their anti-people political line in the eyes of the people. They reinforce views that "they are all the same", their political line strengthens conservative forces and leads to the return of rightwing governments. The examples of "left" governments in Europe, as well as in Latin American countries confirm this assessment. The CPs that participate in or support governments of bourgeois management provide social-democracy with an alibi. Their stance is utilized in many ways in order to trap the working class inside the framework of capitalist management, to reduce the demands of the people and delay the anti-capitalist struggle. The CPs that supported or still support SYRIZA bear serious responsibilities. Their stance is utilized in the attack against our people and is directed against the struggle of the KKE and the class-oriented movement. The KKE has always kept to the principle of proletarian internationalism in a very responsible way. It supports the struggle of the working class against capital and capitalism. It expresses its internationalist solidarity with the peoples of Latin America, Asia, Africa, the peoples in every corner of the world. Today, important conclusions can be drawn about the principled stance the KKE maintained, exposing the role of new social-democracy, highlighting how dangerous and corrosive it is for a communist party to participate in a government of bourgeois management. The KKE is in the front line of a difficult struggle and tries on a daily basis to strengthen its bonds with the working class, the poor farmers, the urban self-employed, the women and youth of the popular families. The party organizations, the organizations of the Communist Youth Organizations (KNE) carry out constant ideological-political activity, wage battles in the factories, in the workplaces and popular neighbourhoods to organize the workers'-people's struggle. They focus in particular on party building in the factories, in strategically important sectors of the economies. They confront their weaknesses and deficiencies. The party forces, the friends of the party, KNE and its friends organized hundreds of mass events for the 100th anniversary of the KKE that will take place in 2018, very important events were held for the 70th anniversary of the founding of the "Democratic Army of Greece" (DSE) and its heroic struggle during the confrontation against the bourgeois class, British and US imperialism in the civil war, in the majestic armed struggle of 1946-1949. The communist men and women support the struggles of the All-workers' Militant Front (PAME), the class-oriented movement in which dozens of federations, labour centres and hundreds of trade unions and struggle committees, thousands of trade unionists participate. There is a particularly important initiative of the class-oriented forces, via which hundreds of trade union organizations are organizing their struggle to abolish the anti-worker measures, for satisfactory collective labour agreements, for the recovery of the losses the workers suffered during the crisis. The communist men and women are playing the leading role in the struggle of the poor and medium farmers, the urban self-employed, the youth and women. 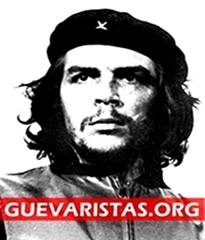 A basic issue is for the ideological-political and mass struggle to strike against the real enemy, the bourgeois class and its state, not to be limited to targeting the bourgeois parties and governments, to contribute to the development of class consciousness. Through the everyday struggle, the strikes, the demonstrations, the occupations, the dozens of multifaceted mobilizations, the class-oriented movement measures results in terms of the organization of the working class. It contributes to the increase of the level of the workers' demands in order to strengthen the front against capital and the anti-people political line of the government and other bourgeois forces and to reinforce the confrontation against employer-government led trade unionism and the dangerous notion regarding class collaboration and consensus between the exploiters and the exploited. The communist men and women are struggling to regroup the labour movement in order to strengthen the line of class struggle, to lend mass characteristics to the trade unions and to acquire strong bases in the workplaces, to intensify the struggle with a line and demands connected to the contemporary needs of the workers and people, to change the correlation of forces. A strong labour movement will be the heart of a great social, people's alliance of the working class, poor and medium farmers, the urban self-employed. An alliance that will gather together and mobilize organized forces, will intervene decisively in the daily struggles with an antimonopoly-anticapitalist direction, aiming at the overthrow of capitalist barbarity and the conquest of workers' power. The Greek people will be freed from the shackles of capitalist exploitation and the imperialist unions, when the working class together with its allies carries out the socialist revolution and proceeds to the construction of socialism-communism. The revolutionary change in Greece will be socialist. This is objectively necessary. The fact that the correlation of forces today is negative and that there is a delay in the subjective factor does not change the character of the revolution. The motor forces of the socialist revolution will be the working class as the leading force, the semi-proletarians, the oppressed urban popular strata of the self-employed and the poor farmers. The KKE in non-revolutionary conditions devotes its forces to preparing the subjective factor so that it can respond to its historical duties when a revolutionary situation is created-when those at the top cannot go on ruling in the same old way and those below will no longer submit to them etc. Views (inside the international communist movement) that underestimate the antimonopoly-anticapitalist line of struggle and the necessity for comprehensive preparation for the overthrow of capital do not take into account the potential for the developments to sharpen and for a revolutionary situation to manifest itself, which as an objective phenomenon that can be created in the conditions of capitalist crisis and imperialist war. We must learn from the historical experience which demonstrated that CPs found themselves unprepared for the conditions of the escalation of the class struggle and could not fulfill their historic tasks. It is well-known that the communist movement is facing an ideological-political and organizational crisis, is seriously affected by the counterrevolution and opportunism has a major influence in its ranks. After capitalist restoration in the Soviet Union and the states of socialist construction in Eastern and Central Europe, the dominance of capitalist relations of production in China, the strengthening of capitalist relations in Vietnam and Cuba, the conditions in the D.P.R. of Korea, the situation in the international communist movement has deteriorated. In these conditions, the struggle for the regroupment of the international communist movement is a decisively important task and the KKE considers it necessary for a discussion to be initiated about the serious problems of strategy-tactics, assessing that every delay worsens the situation and poses serious dangers. First, the issue of imperialism must be engaged with by the communists, as it is a point of more general discussion. The Leninist position refers to the fact that imperialism is the highest stage of capitalism, in the context of which the dominance of the monopolies and finance capital has been formed and the export of capital has acquired particular importance. In this framework there is a struggle between the various monopolies and capitalist states over the division of the markets. The position that limits imperialism to the aggressive foreign policy of the USA or other powerful capitalist states does not take into account the economic base of the system in our period, the monopolies, the large stock companies that have developed and are developing in all countries. We believe that this position cannot see the imperialist (capitalist) system in all its dimensions. The capitalist states are its links, which have differences amongst them due to uneven development and each one has a different position in the system, with relations of unequal interdependence in line with their economic, military and political strength. Second, we are interested in the issue related to the character of our era and the character of the revolution. This is an issue of decisive importance. We live in the 21st century, bourgeois power overthrew feudalism many centuries ago. Capitalism has developed and in its imperialist stage has led to a major socialization of production and labour, the fruits of which are enjoyed by the bourgeois class. The major monopoly businesses have bases and networks all over the planet, the sciences, technology, many forms of infrastructure and transport etc. have developed. It is undeniable that the material preconditions have matured which determine the character of our era as the era of the passage from capitalism to socialism. This is something which is more necessary and timely than ever for the working class, the popular strata, the future of the youth. The Great October Socialist Revolution, which will have its 100th anniversary in 2017, shows the way. This socialist revolution at the beginning of the 20th century in a backward agricultural country, where the development of capitalism created the material preconditions for the construction of the new socialist society, which gave impetus to the development of the productive forces. 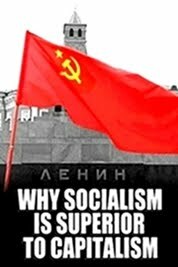 The counterrevolution and the negative change in the correlation of forces does not change the fact that socialism was constructed, and does not change the character of our era, which was inaugurated by the October Revolution, as the era of the passage from capitalism to socialism. The conditions that highlight the exhaustion of capitalism's historical limits (crises, wars, unemployment, poverty etc.) have intensified and the socialist character of the revolution expresses the urgent need to resolve the basic contradiction of the system between capital and wage labour. Capitalism has given birth to its own gravedigger, the working class is the leading class of society and the socialist character of the revolution itself specifically poses the issue that this class must struggle for and acquire power. 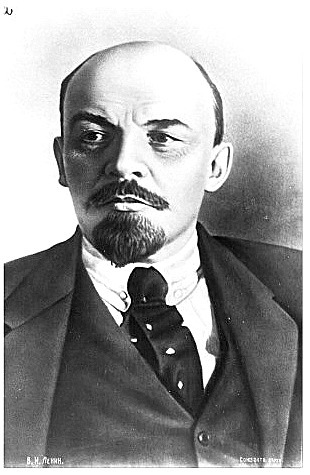 On many occasions reference is made to Lenin's position on the " Revolutionary-Democratic Dictatorship of the Proletariat and the Peasantry" in order to substantiate the outdated view about intermediate stages, but it should be clarified that this position corresponded to the conditions of Tsarist Russia during the revolution of 1905, while after the overthrow of the autocracy the Bolshevik party moved forwards and worked in the Soviets with the aim of the revolutionary conquest of workers' power, the dictatorship of the proletariat (April Theses 1917). Third, the capitalist states participate in imperialist alliances in order to effectively serve the interests of the bourgeois classes in the international capitalist competition, to buttress the power of capital and to deal with the labour movement in a coordinated way. These interstate alliances cannot negate the nation-state organization and the inter-imperialist contradictions that are still manifested inside the alliances themselves as well, as each capitalist state functions on the basis of advancing the interests of its own monopolies. The KKE has much experience in the struggle against NATO, the gun hand of imperialism against the peoples. Our party has been struggling for many years against the European Union, the interstate imperialist alliance that expresses the interests of the European Monopolies against the working class, poor farmers and other popular strata of Europe, a fact that exposes the forces of social-democracy and opportunism which prettify the imperialist character of the EU, as the Party of the European Left (PEL) does. The KKE, on the occasion of the referendum in Britain and the Brexit, tabled its own positions that highlight the internal contradictions in the EU, the unevenness of its economies and the struggle between the imperialist centres, which sharpened in the conditions of economic recession. The positions that propose the change of currency or an exit from the EU in the framework of capitalism cannot objectively serve the workers'-people's interests. On the contrary, they lead to the perpetuation of the regime of the exploitation of man by man; power remains in the hands of the bourgeois class, the means of production remain under capitalist ownership. Our party argues that the necessary condemnation of the EU and NATO, for the struggle for the disengagement of every country from the imperialist organizations to be effective it must be connected to the necessary overthrow of capital's power by workers'-people's power. The social alliance of the working class and the other popular strata, the regroupment and strengthening of the international communist movement are preconditions to pave the way for this prospect of hope. The interstate alliances are not limited to NATO and the EU in today's conditions. Alongside them, we have, for example, BRICS, the Shanghai Cooperation Organization, the Collective Security Treaty Organization, interstate unions in Latin America etc. The differences that exist flow from the position which the capitalist states in the imperialist system possess and from the aims of the bourgeois classes. However, there is a common basis and this is determined by the fact that capitalist states which represent the interests of monopolies participate in these interstate alliances. This is the basis of the contradictions inside the EU or between the USA and the EU, as is demonstrated by a number of facts, like the management of the capitalist crisis and debt, the negotiations over the anti-people TTIP etc., or by the contradictions that manifest themselves in the Asia and Pacific regions. Our party very carefully follows the developments in the South China Sea, a region that is an important passage for international shipping, is rich in fish and is also rich in energy resources. Major monopoly interests, both from this region and from further afield (as is demonstrated by the USA's constant involvement and "interest") have focused on exploiting this enormous wealth. Our party believes that the issues of territorial differences between states (.e.g. over the establishment of Exclusive Economic Zones et al), with the intervention of the people's movements as well, should be resolved peacefully on the basis of the international law of the sea and through multilateral negotiations and decisions, when many countries are involved in a specific matter. In recent years the so-called "multi-polar" world has been promoted as a pro-people development, but the issue should be examined more carefully because in essence it is comprised of capitalist "poles", which are formed to advance the interests of the big businesses. It is an expression of the inter-imperialist contradictions. The task of the CPs is to advance forwards and open up a path for the peoples so that they do not follow the flags of any bourgeois class, any imperialist alliance, so that they develop their struggle in line with their own interests and needs. Fourth, the recent years have been marked by the interventions and wars of NATO, the USA and EU in Yugoslavia, Afghanistan, Iraq, Libya, Syria, Ukraine, in African states. A characteristic feature of the imperialist interventions and wars is the use of a number of pretexts, amongst which are the fight against terrorism, dealing with the criminal organization of the Islamic State and other similar organizations, which are in fact imperialist creations and supported by the USA, strong EU states, Turkey, Qatar and Saudi Arabia in order to promote their interests in the Middle East, North Africa and the wider region. We have a duty to highlight the real causes of the wars. These causes are to be found in the inter-imperialist contradictions and competition expressed all over the planet amongst the USA, NATO, the EU, Russia, China, other capitalist states, over energy resources and their transport routes, strategically important regions and maritime routes, the control of markets. The Middle East, North Africa, the Sahel, the Caspian, the Persian Gulf, the Balkans, the Black Sea, the South China Sea and the Arctic are particularly important arenas of imperialist contradictions. NATO is transferring significant military forces to and creating military bases in the countries of Central and Eastern Europe. Romania and Poland are the centres for the installation of US missile system aimed at Russia. More than 60% of the US navy has been moved to the Pacific region. The danger of generalized regional conflicts is on the increase. We are even concerned about the possibility of a generalized imperialist war. The Communist Movement is faced with important tasks and must widen the discussion on the stance of communists against the imperialist wars, to specify the criteria and the important role of the just, revolutionary wars. The KKE has its own contribution to the organization of the struggle against the imperialist interventions and wars, against the involvement of the Greek governments, for the return of the Greek military forces from the imperialist missions, for the closure of the Euro-Atlantic bases. Our party argues that the struggle for the defense of the borders, the sovereign rights of Greece, from the standpoint of the working class and the popular strata is inextricably linked to the struggle for the overthrow of the power of capital. In any case, whatever form the participation of Greece in the imperialist war takes, the KKE must be ready to lead the independent organization of the workers'-people's resistance and connect it with the struggle for the defeat of the bourgeois class, both of the domestic one and the foreign one as an invader. Fifth, the KKE in the framework of its long study concerning the analysis of the causes and factors that led to the overthrow of socialism assessed that the counterrevolution in the USSR came "from within and from above" as a result of the opportunist mutation of the CP and the corresponding political direction of Soviet power, in an environment of multifaceted interventions by imperialism, leading to the development of opportunism and its development into a counterrevolutionary force. The overthrow of socialism was connected to the use of capitalist tools in order to deal with problems of socialist construction. Socialist construction begins with the revolutionary conquest of power by the working class and the communist mode of production is created through the socialization of the concentrated means of production, central planning, the formation of institutions of workers' control. The class struggle of the working class continues in other conditions and with other forms both in the period when the foundations of the new society are being laid and during the development of socialism, in a constant struggle to eradicate every form of group and private ownership, to extend social ownership and to strengthen central planning, communist relations of production. It is our unshakable conviction that positions that talk about various "models of socialism" in the name of national specificities do not operate within the framework of the principles of scientific socialism and the laws of socialist construction. Unfortunately, this is not just related to the petty bourgeois/social-democratic framework of the so-called 21st century Socialism, which fosters illusions about the humanization of capitalism and perpetuates bourgeois power and capitalist exploitation, as is demonstrated by the developments,e.g., in Latin America. There is an attempt to replace the necessity of the socialist revolution with the bourgeois parliamentary road, with the vehicle of the management of “leftwing governments». A mixed economic system with capitalist businesses replaces the socialization of the means of production. The state intervention to regulate the capitalist market replaces central planning. These positions have nothing to do with remnants of the old (capitalist) system inside the new, socialist economy, or the small commodity production that can continue to exist for a period (and is a force for the maintenance or reemergence of capitalism), but are related to a specific political line that retreats from the laws of socialism-spearheaded by the dangerous position that says that socialism can be constructed with the presence of capitalist businesses and capital, which is an exploitative social relation. The Great October Socialist Revolution is a historic milestone, a magnificent creation of the working class, of the class struggle. The socialism that was constructed in the 20th century, despite the weaknesses, mistakes, opportunist influences and deviations, is characterized by the historical achievement of the abolition of the exploitation of man by man, thanks to workers' power, the socialization of the means of production, central planning and workers' control, the participation of millions of workers in the construction of the new society. The major advantages of socialism are to be found in the elimination of unemployment and the planned safeguarding of work for all, in the high level of free education and healthcare, in the development of the people's culture and sports, in women's equality, in the coexistence of different nationalities, in the support of the peoples' struggle against imperialist aggression and wars, the abolition of colonialism and much else besides. 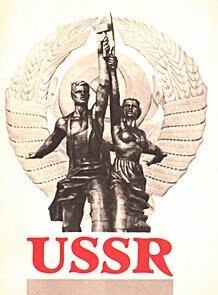 Workers' power in the Soviet Union and the sacrifices of the Soviet people made their mark on the victory against the fascist axis in the 2nd World War. The historical contribution of socialism to social progress, as well as the study of the real causes that led to its overthrow must motivate the CPs, the communists all over the world in order to raise the level of demands and to decisively answer the forces of anticommunist reaction and opportunism that applauded and supported the counterrevolution, as did forces that later founded the Party of the European Left (PEL) and other similar networks. The communists believe in the strength of the working class, in the class struggle which is the motor force of social development and the international character of the class struggle requires that we make the greatest possible efforts and to form the bases to acquire programmatic-ideological unity and a unified revolutionary strategy in conflict with capital and the system of exploitation. The difficulties of our struggle are serious. The bourgeois and opportunist pressure is strong. But the communists are obliged to demonstrate great endurance and determination in the defense of the Marxist-Leninist worldview, to play a leading role every day in the workers'-people's struggles, in the antimonopoly-anticapitalist struggle, to try to achieve the connection in all conditions between the daily activities and the struggle for revolutionary workers power. The KKE with a sense of internationalist responsibility played a leading role for the beginning of the International Meetings of Communist and Workers Parties (IMCWP), contributed and contributes to maintaining its character as a meeting place for CPs in opposition to positions that aim at the participation of social-democratic formations which are labeled as being "anti-imperialist", "left", "progressive" forces. Our party has clarified for a long while that what today is helpful is the substantial exchange of views inside the IMCWP, the ideological-political discussion and debate over crucial issues of strategy-tactics, as well as the common activity we can develop for the interests and rights of the working class. The KKE will devote all its forces in this direction and at the same time will continue together with dozens of other CPs the efforts to coordinate their activity with many forms, in Europe, in the Balkans, in the wider region and will support even further the serious step that has been taken with the formation of the "European Communist Initiative", where a significant number of Communist and Workers parties of Europe participate and the publication of the journal "International Communist Review" (ICR) which studies contemporary theoretical issues.